Pink and white checked gingham baby bonnet with a ready-to-stitch 14ct Aida cuff. One bonnet. 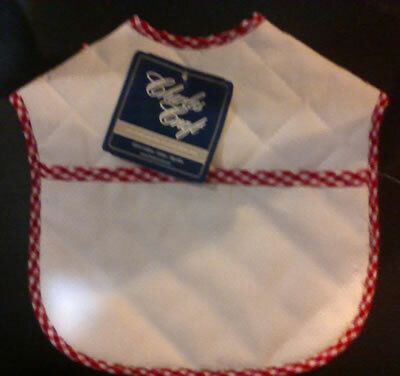 Quilted cotton baby bib with red and white checked gingham trim and ready-to-stitch 14ct White Aida pocket. One bib. 100% Cotton pre-finished quilted 16" stocking with a ready-to-stitch 14ct Light Blue Aida cuff. Blue snowflake pattern.